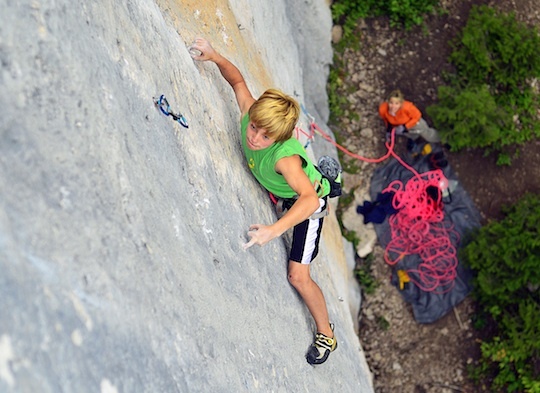 In July, 11-year-old Cameron Hörst notched his third 5.14 this year when he repeated Private Halfenheimer (5.14a, pictured above right) in Ten Sleep. Hörst had previously climbed Galactic Emperor (5.14a) in Ten Sleep and God’s Own Stone (5.14a) at the Red River Gorge. 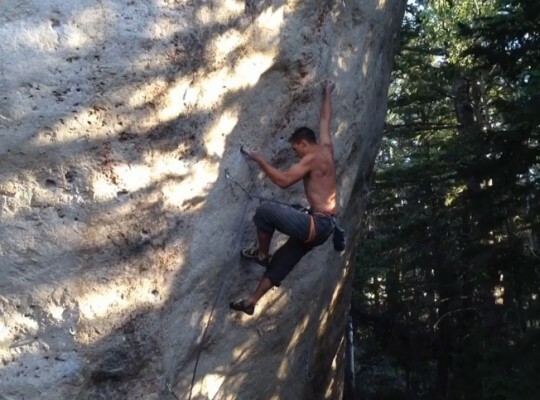 Also in Ten Sleep was Jonathan Siegrist who rode a mechanical bull repeated two James Litz testpieces in General Litzenheimer (5.14c-ish) and Porcelain (5.14b) which he blogged about here and here. He also repeated Galactic Emperor for good measure. And finally is the news of a hard new route at the Wild Iris from local legend BJ Tilden. The 50-foot Moonshine weighs in somewhere around the 5.14d range, and Tilden had been working the line on and off over a ten year period that saw him repeat or establish pretty much every hard route in the Lander area. DPM caught up with Tilden to learn more about the route, and you can see some footage of him working it by clicking the below image.